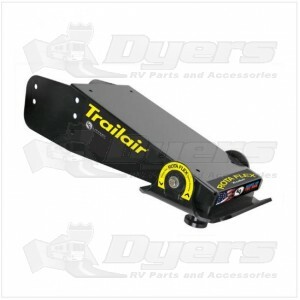 Trailair has been pioneering advanced RV ride solutions for more than a decade. From the same minds at Trailair that brought you the Air Ride Pin Box and the Equa-flex™ rubberized equalizer comes Rota-Flex™, a rubberized and pivoting pin box designed to enhance and smooth your ride. You've put a lot into your investment, so help protect it with a Rota-Flex™! - Absorbs road shock that would otherwise be absorbed by your RV. This saves you $$$ in the long run! - Now with powder-coated lower jaw!